Incredibly loved, beautifully preserved vintage home with huge 12,308sq ft lot and oversized garage! Built in 1956, take a step back to a simpler time. Meticulously cared for this home is delightful and full of possibilities. 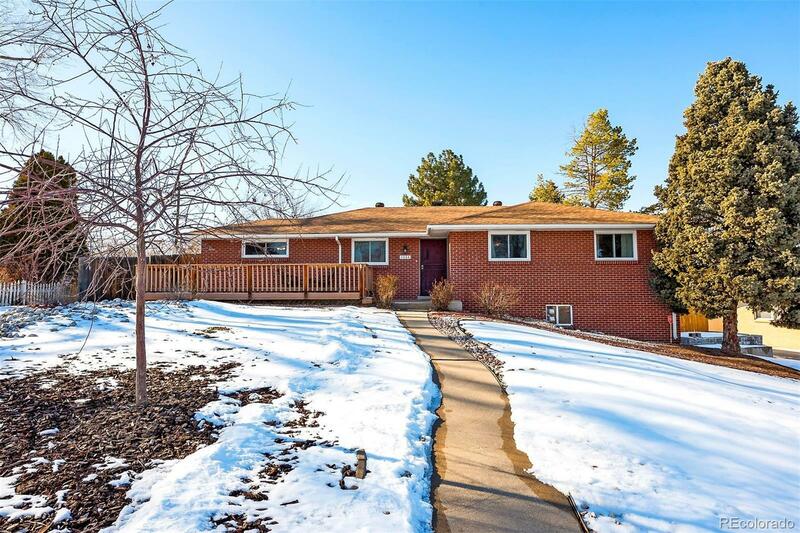 Beautiful hardwood floors on the main floor, rare mid-century fireplace in family room and another in basement, flowing floor plan awaiting your updates. New windows on main floor and newer roof already done for you. Laundry on main floor. Huge basement with spacious family room, work(flex) space, and additional bedrooms (one is non conforming). Wonderful, flowing floor plan. Perfect opportunity to live in desired Applewood Village and to update a classic home to your taste, or for investor looking for fast equity. Fully remodeled comps in the 700s! Optimal location walking distance to great schools, shopping, Greenbelt, Crown Hill Park, Wheat Ridge Rec Center, & Discovery Park. Easy access to downtown & the mountains. Full of potential and pride of ownership.